My 10-year-old is a little crafter. She loves to sit and draw and make things, so when she came to me and asked if she could make presents for her grandmas this year for Christmas, I was completely on board! We dug through my crafts supplies to see what we could find. I had a bunch of these terra cotta pots leftover from Halloween ornaments, so we decided to turn them into something for Christmas. I was helping her gather everything to turn them into Christmas bells when she had a better idea! 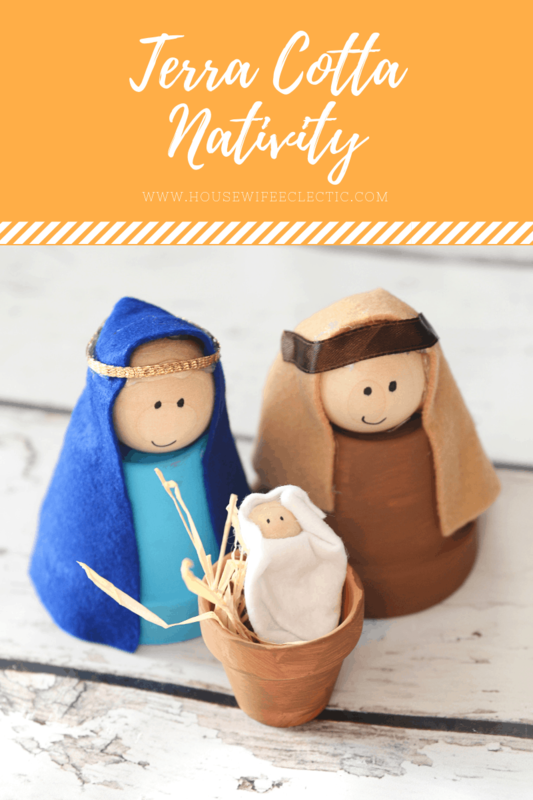 How about a nativity? She and I had so much fun pulling these together and they are so easy, she did almost everything completely by herself. Remove all the stickers from your pots and paint them. 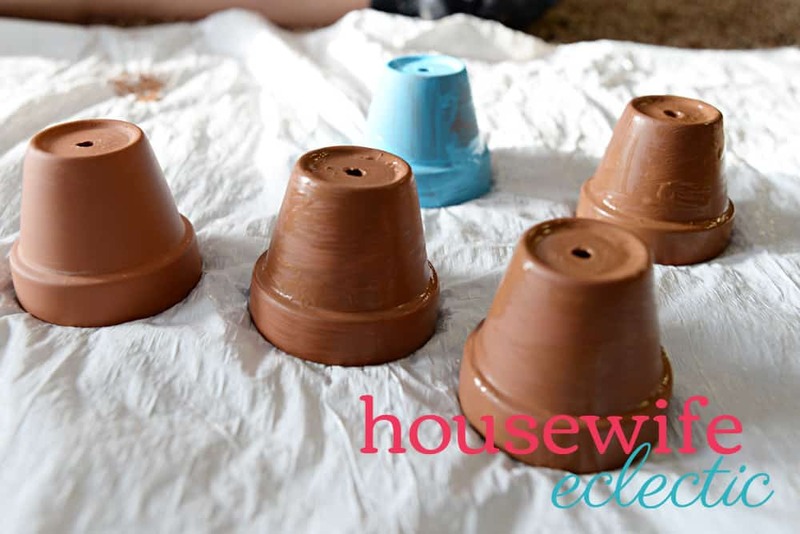 Paint one of the larger pots brown and one blue. The little pot you can leave alone or give it a thin coat of brown paint to make it look more like wood. 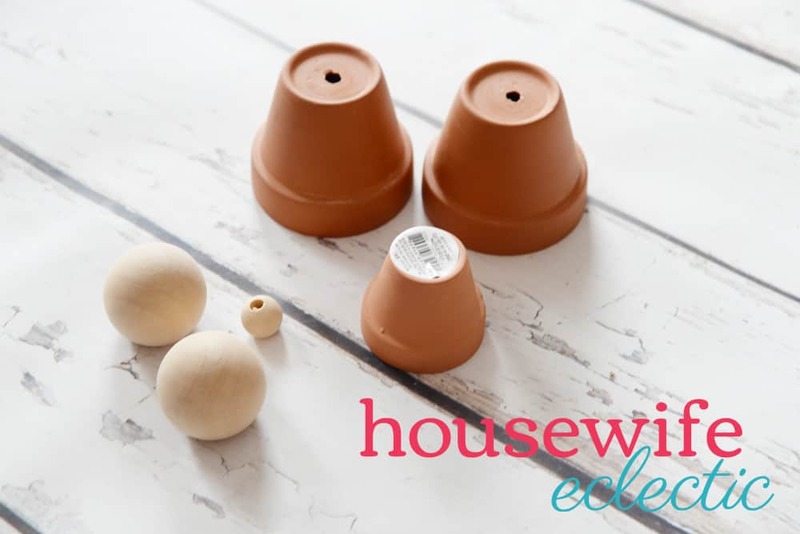 After your terra cotta pots are dry, glue the beads on top of each pot. Then add a rectangle of felt on top. I found the best way to do this was to start glue at the top of the head, and then glue down the sides of the face, attaching the felt as you go. 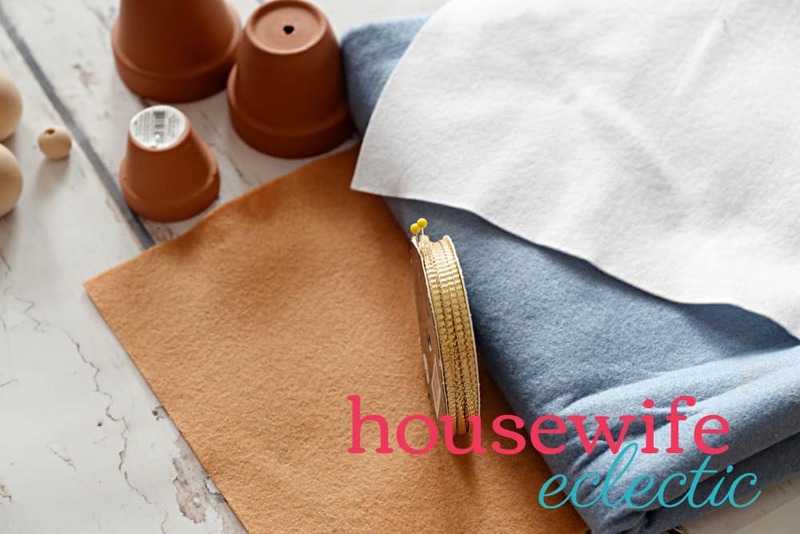 This will leave a piece of felt poking out in the back, fold it in on itself and glue it down to the back of the terra cotta pot. Add ribbon or other trim around the top of the heads. For the baby Jesus, fold a square of white felt like you would swaddle a baby and glue it shut. Glue the bead to the top of the swaddle and then hot glue the top of the swaddle down on top of the baby’s head to cover up the hole in the bead. 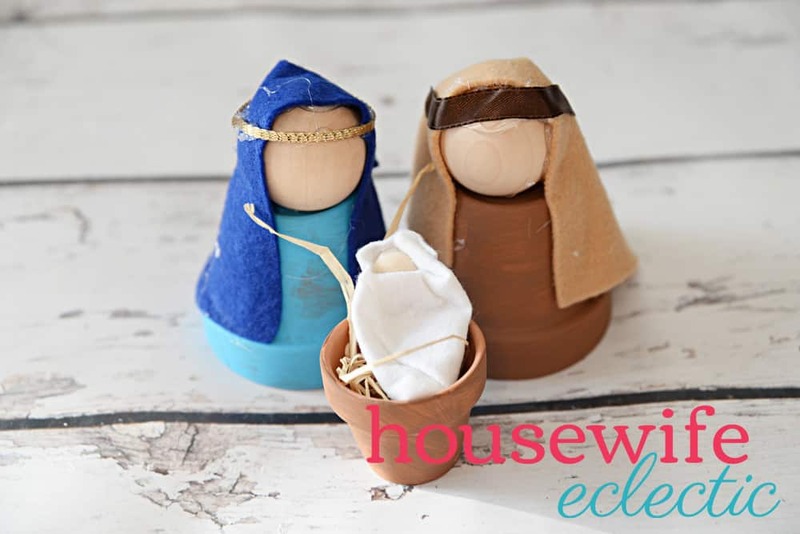 Add some raffia to the manager and assemble your holy family! This whole process took us under an hour for three families. She is so excited to give them to her grandmas and I think they will love them too!